Just another WordPress site | Who do you love? We’ve all been there. The vision and mission statements have been carefully written. The marketing plan has been approved. The customer deep dive has been compiled. You know their age. Education level. Household income. Even where and how they consume paid, earned and owned media. But did you remember the most important thing? The thing you won’t find in a deck, tracking study or even at an offsite? Love your customer means loving what makes them unique—and most likely different from you. For example, we work with several healthcare networks at Hydrogen. And while that may seem like a recipe for sameness, the opposite is true. 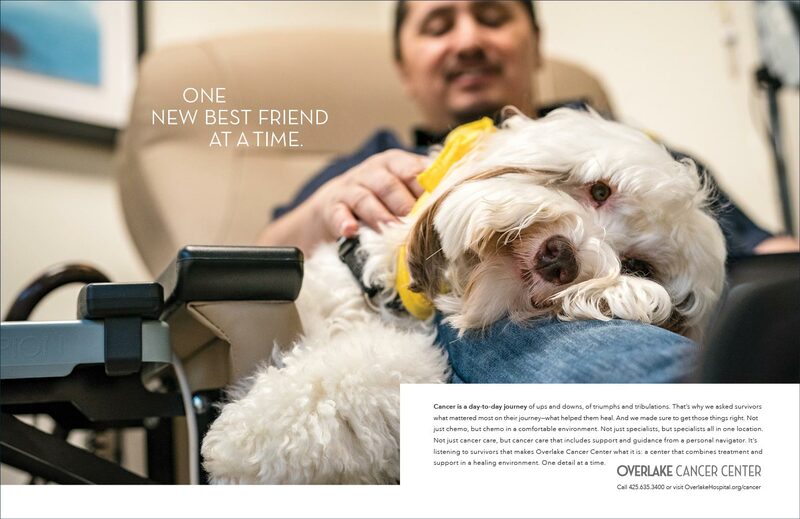 Our client Overlake Medical Center recently asked us to help them launch their new Cancer Center. First, let’s face it, no one wants to hear about—or even think about—a cancer diagnosis. Then suddenly, a recently-diagnosed patient is faced with a fire hydrant of questions, decisions and routines. 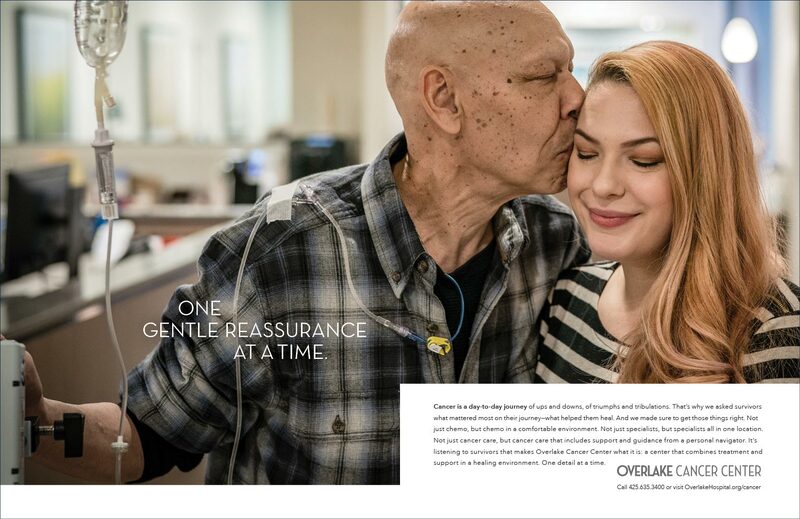 It was Overlake’s deep love of, and empathy for their patients as they faced this uncharted territory that led to a compelling point difference: the importance of the “little details” that help people heal both physically and emotionally. The resulting campaign highlights real patients and the little touches they inspired at the new Cancer Center. On a very different note is our work for our Seattle healthcare client, The Polyclinic. As one of the smallest healthcare advertisers in the Puget Sound area (their largest competitor outspends them 6:1) The Polyclinic asked us to help raise awareness for the specialty areas people often self-refer to these days—from creaky joints to stomach issues to allergies and more. The Polyclinic showed their love for these savvy self-referring patients by honoring their intelligence and ability to reach conclusions, without featuring white coats and stethoscopes. Our transit campaign and radio uses bold, clever messages to attract attention and reward people with a smile. It has raised awareness and become a cult and awards show favorite as physicians, staff and even local bloggers suggest new executions for the campaign. 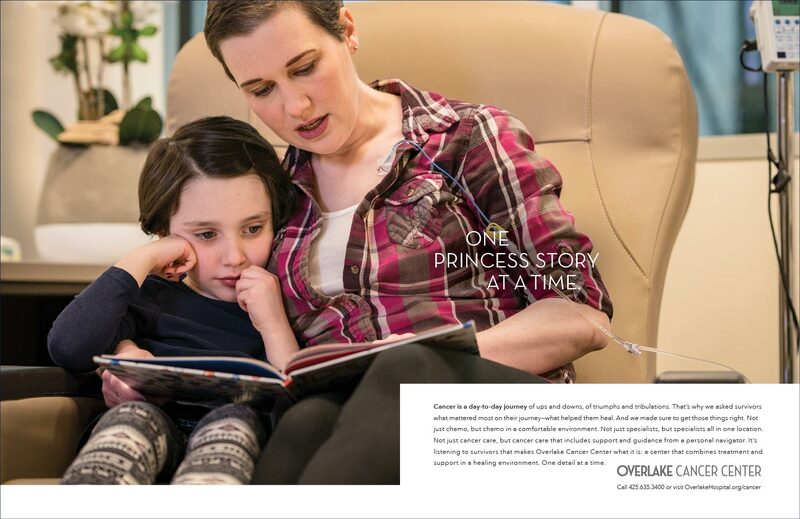 While radically different, both campaigns resonated deeply with their respective customers. So, remember. Before the planning. Before the shoot. Before the media buy, please. Love your customer. And the right work will follow. A special thanks to Ed Cotton, Chief Strategy Officer at our Worldwide Partner, BSSP, in San Francisco, for reminding us to help brands love their customers.